To: Jane Harris Fr: Claire Harris Re: Hi, honey It's me, Mom. I know it's a big secret that your friend Holly and her boyfriend Mark are eloping in Italy, and that you and Mark's friend Cal Langdon (the handsome New York Journal reporter with the big book deal) are going, too, as their witnesses. But I just saw Holly's mother at the Kroger Sav-On, and I thought I'd warn you: She doesn't seem to like Mark very much at all. Just wanted to let you know. PPS Don't forget to wear a sweater. Cartoonist Jane Harris is delighted by the prospect of her first-ever trip to Europe. But it's hate at first sight for Jane and Cal Langdon, and neither is too happy at the prospect of sharing a villa with one another for a week--not even in the beautiful and picturesque Marches countryside. But when Holly and Mark's wedding plans hit a major snag that only Jane and Cal can repair, the two find themselves having to put aside their mutual dislike for one another in order to get their best friends on the road to wedded bliss--and end up on a road themselves ... one neither of them ever expected. Full of comical diary entries, hilarious emails, and some awesome doodles Every Boy's Got One is a fun and quirky read! Jane is an eccentric cartoonist who loves popular culture, while Cal Langdon is a reporter and bestselling author of a book on Saudi Arabia's tiring oil fields. 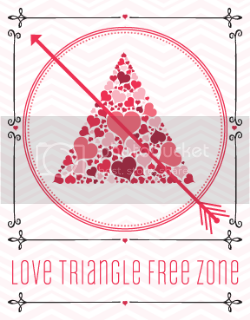 They couldn’t be more different and when the two are invited along to Italy by their best friends (who plan on eloping) they immediately take a disliking to each other. I've always loved the idea of a book written through emails and journals so I was really looking forward to Every Boy's Got One. Once I began reading I just couldn’t stop, the characters were so colourful and full of life that I ended up reading it in one sitting! Cal and Jane's constant bickering was highly entertaining and I really enjoyed their love/hate relationship. Something that I found particularly amusing was their opposing views on love and marriage - Jane believes that Holly and Mark are meant to be together and thinks it's romantic that they're eloping, while Cal thinks their being naive, he believes love is a chemical imbalance in the brain that doesn't last. Ha! If you're looking for a cute romantic comedy I definitely recommend this book! 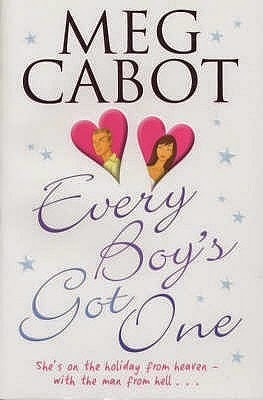 I really have to read a book by Mrs Cabot .. She seems to be a great author !! Thanks for the review Renu, I'm adding this one to my wishlist !! I really have to read this now. I love books written as journal entries or emails! I always seem to fly right through them. So fun. I'll keep an eye out for this. I'm starting to realize that I love fun and quirky. I'm adding this one to my list right away. The Page Turner was created in 2011, and is run by a 20 something year old bookworm named Renu.